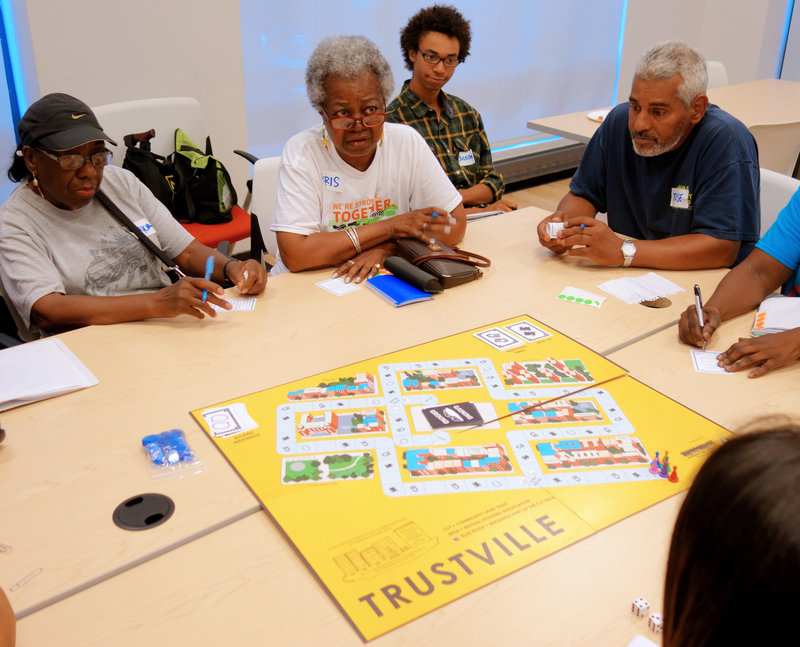 New Economy Project conducts community education, coalition-building, and policy advocacy to promote community land trusts and community-led development in NYC. As a founding member of the NYC Community Land Initiative (NYCCLI), New Economy Project is working with allies to foster CLTs in communities across NYC. By removing housing and land from speculative markets, we seek to address root causes of displacement, segregation and homelessness, and preserve the right of low-income people to live in the city. Since fall 2017, we have coordinated the NYC CLT Learning Exchange, with NYCCLI partners. The CLT Learning Exchange is an ambitious, two-year peer learning initiative, with participants from nine community-based organizations at varying stages of CLT development, as well as three NYC-based CLTs.